There is nothing new about growing food in and around the city and in South African cities some large, old suburban plots still show remnants of orchards or subsistence gardens. While we might be physically closer to food production than many other cities worldwide, accelerating urbanisation has seen a growing disconnect with a deeper understanding of where food comes from. Access to healthy food is becoming a privilege of the wealthy and everyone is trapped by the convenience of processed food in one form or another. Internationally, the urban-farm movement has developed from the growing interest over the last ten years in the Slow Food movement, “a comprehensive approach to food that recognizes the strong connections between plate, planet, people, politics and culture”, and that furthers a greater awareness of the impact of modern living on natural resources, as well as a deeper understanding of the value of supporting local economies. In the spirit of the Slow Food movement, growing your own produce inspires a process of questioning the status quo and examining the challenges of large-scale production such as transport and logistics, energy for cold storage, labour and ethics, packaging and waste, pest control and other risk factors. In small-scale urban farming, thinking about water use and sourcing is inevitable, as are methods of storage, waste production, reuse and recycling, and the valuing of certain types of waste. The relatively new movement of urban farming has, at its core, the growing of food in the city or on its periphery, on a relatively small scale; and sometimes extends to rearing goats, rabbits, chickens and ducks, and keeping bees. Urban farming is distinguished from what went before by its motive: a distinction that is often evident in the resulting garden typologies, which intentionally target people’s preconceived ideas about growing food in the city by planting on sidewalks, roof tops, old sports fields, alleyways or in other underutilised spaces. Recent projects experiment with growing vertically, with hydroponics, in repurposed containers, in internal warehouse spaces or in shipping containers – urging a new perspective on the productive use of various spaces. In addition, assumptions of food economy are challenged through models that encourage: selling through box schemes; making food available for free; and trading produce, seeds or seedlings. Often urban farming initiatives rely on volunteers who are keen to get their hands dirty, and who then go home with a wealth of knowledge and confidence to apply in their own gardens. Importantly, these projects often have a community focus – while they might depend on community patronage and support, they also provide a valuable platform for community engagement. So who is already working in this space, and what are they doing right?! Recently, Solid Green team members visited a number of urban-farming initiatives out of interest in the role that these projects could play in our industry. At the same time, we started noticing underutilised spaces in and around Rosebank, such as bowling greens, properties under development or in limbo, parking lots, alleyways, and the edges of parks. Could these spaces be better utilised for growing food? Several projects in and around Johannesburg and further afield are working at showing they could. The Wits Siyakhana Initiative (WSI) has been running for over 10 years, and functions as a change agent to engage individuals and organisations in Johannesburg, Gauteng and across the entire spectrum of the South and Southern African society to improve food security, as well as to promote healthy and resilient communities and environments. Siyakhana has experimented with what to plant, how to plant, how to manage water, and with the infrastructure on their site – from composting toilets to rainwater-storage ponds and a mushroom-growing facility. Experimentation has given them a wealth of knowledge and Siyakhana is now well positioned to train new garden managers and support other gardens with their knowledge. 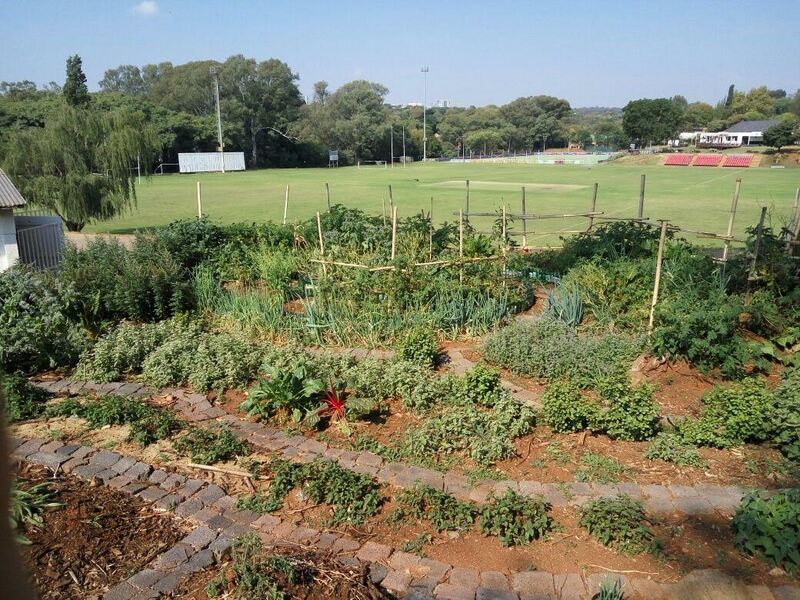 Bertrams Inner City Farm – a Bambanani Food and Herb Cooperative Project – is a real inner-city garden that truly understands its responsibility towards its resident community. It was started on an old bowling green next to Ellis Park, and has become established in the community with regular customers – shops, small businesses and the public – to whom it supplies basic staples like kale, spinach and tomatoes. 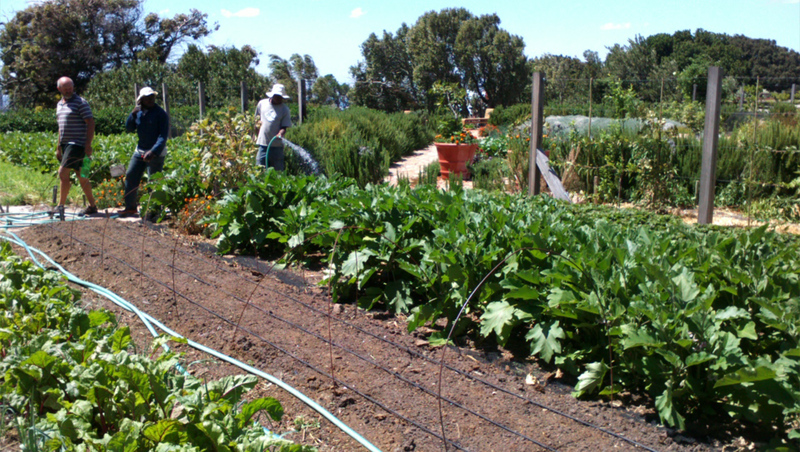 The managers of the Bertrams garden were trained by Siyakhana and are themselves very knowledgeable and competent gardeners. On a piece of disused land at the Pirates Sports Club in Greenside, Netanya Naude runs a small scale urban farm project called Art of Craft that includes a food garden, herbs and plants with medicinal value, from which she makes tisanes that, together with vegetable crops are sold at the Pirates Saturday Market. This initiative offers workshops and interactive gardening sessions, and is a showcase for companion planting and 100% organically grown produce. Naude has also helped Little Green Men to start the first Little Green Garden next to the Westbury Youth Centre – an initiative which aims to empower a network of environmentally and socially conscious entrepreneurs as well as disadvantaged youth from the community by offering realistic and productive income-generating opportunities. Oranjezicht City Farm in Cape Town is a real showcase project that was started on an abandoned bowling green that had been accumulating rubbish and detracting from the quality of life for the surrounding community. In late 2012 and early 2013, the bowling green was converted into the Oranjezicht City Farm, a non-profit project that has secured the site in a positive way by celebrating local food, culture and community through education, networking, trade and enjoyment around urban farming. 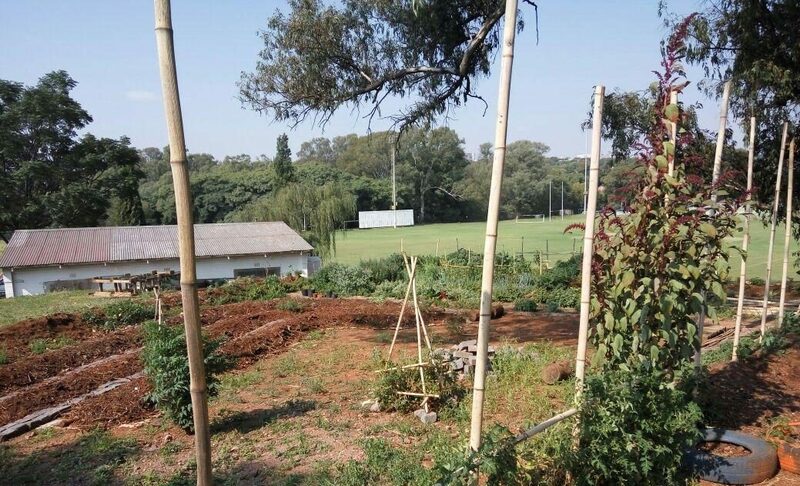 Solid Green has started working on an exciting new urban farming project in Rosebank. Watch this space for more…! I would love to start a community food garden in my area, more of a skills training garden centre. how can I join your movement? I am in Soweto and very passionate about skills, poverty alleviation and community development.